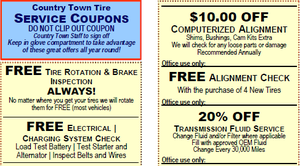 Are you looking for a new auto service center to take care of your tires and other automotive services? Here at Country Town Tire & Auto Service Center in Hickory, North Carolina, unparalleled customer service is our number one priority. That’s why we have multiple locations. Our service center in Hickory is open 7:30am-6:00pm Monday to Friday. Another example of our commitment to customer service is our online tire finder tool. With this online tool, you can shop for your perfect set of tires online at a time that is convenient for you, even if it is the middle of the night or a holiday. Once you find your tires, you can even schedule tire installation online. You will need to know the make, model and year of your vehicle, and your search for the perfect tires can start. Whatever kind of vehicle you drive, Goodyear tires are good option for you. We are proud to sell Goodyear tires to our customers in Hickory. Goodyear started making tires in 1898, and by 1916, it was the world’s largest tire company. They are the top tire maker in North America even today. One of the best advancements they have made in tire technology is their Assurance triple tread, which is ideal for all sorts of weather conditions and has specific tread zones for ice, rain and snow. These Goodyear tires come with an 80,000-mile tread life limited warranty. 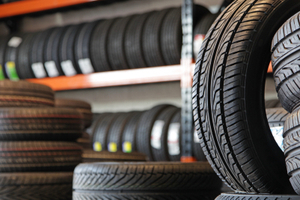 We have all sorts of tire services available, including rotations, balancing, flat repair, and tire sales. We employ ASE-certified mechanics who can take care of a wide range of repairs. Give us a call to learn more about our services today.